time and time again followers of Ukip will have noted this blog has highlighted lies & misleading statements of Ukip leadership team. You will recall this blog has for years stated Nigel Farage was a philanderer and a liar, we made it very clear that he treated his mistresses as prostitutes paid for by the tax payers for his enjoyment such as Annabelle Fuller, Laura Ferrari & others – we also exposed the fact that Farage was using public money to pay his wife, seemingly to buy her tollerance of his behaviour, she was ostensibly paid £30,000pa as a member of his constituency staff – despite the fact that his own constituency office manager neither knew she was employed nor was he aware she did any work for Ukip! You will recall it was this blog that exposed the undeniable fact that David Bannerman’s CV was a pack of lies – even showing his identity was a complete fraud. There have been many other frauds this blog has exposed including the relentless exposure of the dishonesty & corruption of the Ukip MEP Tom Wise which led to his being sentenced to 2 years in prison. It was also this blog that exposed the undeniable fact that Ukip MEP Derek Clark was a liar and was fraudulently using public money – a fraud that our actions exposed and which led to him having to repay 10s of £1,000s. We exposed the fact that Nigel Farage was claiming expenses to fund his constituency office which was provided free of charge by Julia Longhurst. We also exposed the fact that Roger Knapmann’s family were exploiting foreign workers at the expense of British workers and was actively recruiting skilled building labour in Poland and importing Poles to work for minimum wages by the coachload – We were even involved in exposing the fact that Roger Knapman as Ukip’s leader was himself employing teams of Polish builders to work on his own house and housing them in his attic – whilst advocating the same scam to others and offering to supply the labourers at cut rates doing British skilled workers out of work. Here is yet another set of fraudullent claims being made by and on behalf of yet again a Ukip leader which I am exposing – you will note I stated Henry Bolton’s CV was deeply suspect some time ago. Having myself served in The Regular Army & having myself gone to #RMAS The #Royal_Military_Academy_Sandhurst I felt it might be interesting to check Henry Bolton’s military record & where he served – interestingly he did not feature on the list of those who were Officer Cadets at RMAS – Eventually I found he never had a Commission in the Regular Army nor did he serve in Afghanistan – He was never an Army Officer in the Royal Hussars as claimed. Henry Bolton was eventually commissioned as a probationary 2nd.Ltnt. in 1992 as an infantryman in the Wessex Territorial Reserve. All rather different to the claims and inferrences of his CV as put about by Ukip and on Wikipedia! Yet another Ukip fraud! We find him now having dumped 3 foreign wives and several children lashed up under dubious circumstances with a drug store blonde with something of a ‘track record’ who is younger than his own children being 25 years his juniour! I understand #Ukip‘s #Bolton Did NOT go to #R.M.A. #Sandhurst, Nor was he awarded The #Sword_of_Honour, Nor did he have Military Service in #Afghanistan, despite claims which he has failed to contradict. I understand #Ukip‘s #Bolton O.B.E. To be Ordinary Officers of the Civil Division of the said Most Excellent Order: Henry David Bolton Stabilisation Team Leader, Provincial Reconstruction Team, Helmand, Afghanistan. For services to international security and stabilisation. #Ukip‘s #Bolton is clearly not to be trusted as comparison between his claimed #CV‘s implications show relative to the truth nor can his morality & ethics be seen as of calliber for the leader of anything least of all a British political party even #Labour! #Bolton has all the qualities required by a #Ukip leader viz an inaccurate & misleading CV a serial philanderer a dangerous liability & likely to be responsible for the closure of a party whose demise was ensured by #Farage & crass hubris & hedonism. I understand #Ukip‘s #Bolton having abandoned 3 foreign wives & his various children has followed #Farage‘s example & traded the latest wife in on a mistress a fraction of his age with a penchant for assorted partners, of means, old enough to be her father! I understand #Ukip‘s #Bolton opposes #EU membership & #Free_Movement despite importing a #Danish wife & 2 #Russian wives breeding both Danish & Russian children – abandoning all 3 wives & their children. I understand #Ukip‘s #Bolton despite standing as a #Lib.Dim who enthusiasticly encourage #EU membership & open borders – with all the integrity of a #LibDem has changed his tune to get the job of leader of #Ukip! I understand #Ukip‘s #Bolton did not ‘Go To’ Sandhurst, or nor was he awarded The #Sword_of_Honour nor serve as a Regular Army Officer Officer in The #Royal_Hussars nor serve as a Regular Army Officer in #Afghanistan – yet more typical Ukip ‘over egging of CVs! It is claimed #Ukip‘s #Bolton was an Officer in the army who had been to #Sandhurst – Not so, he was a Trooper in the #Hussars who did a course at Sandhurst when he quit Regular Army then became an TA infantry officer. As ever Ukip over eggs the truth. Interesting to note #Ukip‘s #Bolton who it is claimed went to #Sandhurst does not feature in ANY intake yet it is claimed he was top student – normally called awarded the #Sword_of_Honour seems he never went to Sandhurst! So #Bob_Spink was found guilty of trying to corrupt a #British_election & received absolutely zero punishment – One can but hope he had to pay all of both sides’ costs. Ex #Ukip NEC member #Craig_McKinley must be relieved at the precedent his trial is in May! Interesting to note the manner in which #Etheridge dumped his disabled partner having been elected – so very redollent of #Ukip‘s leadership – just as has, you will note, #Mike_Nattrass dumped his wife Joyce. Loyalty is not a #Ukip trait that is valued! 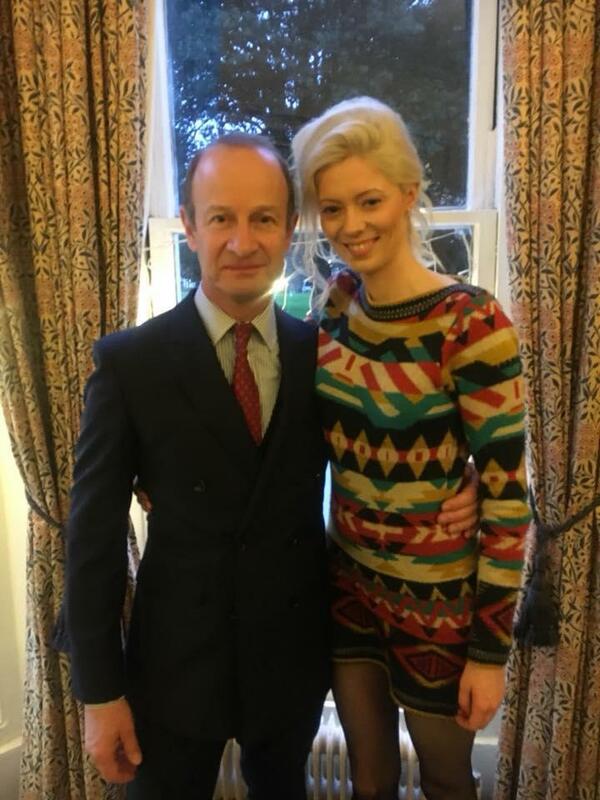 Is it more than just a rumour that #Henry_Bolton‘s Russian wife worked for the deeply suspect #Russian Ekaterina Paderina wife of #Arron_Banks in the ‘flat’ in #Portsmouth & that is where he met the retread model #Jo_Marney also through the ‘flat’! So reminiscent of the complete opposite of #Mrs_Merton‘s priceless interview of #Debbie_Mcgee but if #Bolton‘s silly suits & vanishing hair progress one would be forced to ask #Jo_Marney what did attract her to a maggot on a spring with no ethics? This entry was posted on 06/01/2018 at 23:34	and is filed under EU, EUkip, GL-W, GLW, Greg Lance - Watkins, Greg_L-W., UKIP. Tagged: Bannerman, Bolton, Etheridge, EUkip, GL-W, Google, Greg Lance-Watkins, Greg_L-W, Henry Bolton, Joyce Nattrass, Mike Nattrass, RMS Sandhurst, Sandhurst, Sword of Honour, UKIP, Ukip CV Lies. You can follow any responses to this entry through the RSS 2.0 feed. You can leave a response, or trackback from your own site.